Christophe Guinet isn’t, in the words of Nike, just doing it; he’s growing it. 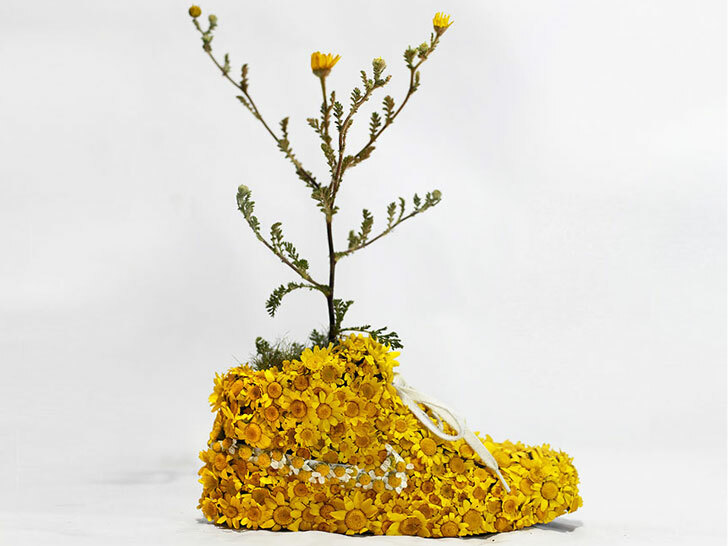 Living up to his nom de guerre, the French artist known as “Monsieur Plant” has fashioned a line of hyperrealistic high-tops using little more than flowers, moss, bark, and packed dirt. Both and neither topiary and footwear, the Just Grow It collection comprises nearly all natural materials. Guinet even gives Nike’s emblematic swoosh the vegetal treatment, painstakingly carving one from an array of minuscule buds before assembling another seed by singular seed. Christophe Guinet isn't, in the words of Nike, just doing it; he's growing it. 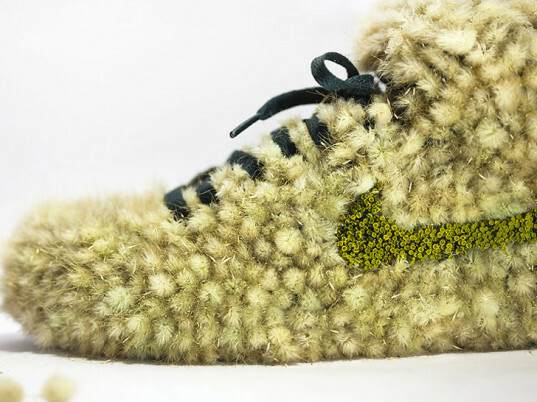 Living up to his nom de guerre, the French artist known as "Monsieur Plant" has fashioned a line of hyperrealistic high-tops using little more than flowers, moss, bark, and packed dirt. Both and neither topiary and footwear, the Just Grow It collection comprises nearly all natural materials. Guinet even gives Nike's emblematic swoosh the vegetal treatment, painstakingly carving one from an array of minuscule buds before assembling another seed by singular seed.